In 2014, The U.S. Environmental Protection Agency (EPA) reported that the rate of lead battery recovery was almost 99 percent. On average, a new lead battery is comprised of more than 80 percent recycled lead battery material. Every part of the battery, from lead and plastic to sulfuric acid, is recyclable and reusable in manufacturing new batteries. The reason this is possible is because all manufacturers, distributors and retailers charge a refundable fee referred to as a core charge. This monetary incentive ensures batteries are properly returned and recycled. Battery Sharks will refund core charges for all batteries returned to one of our locations. 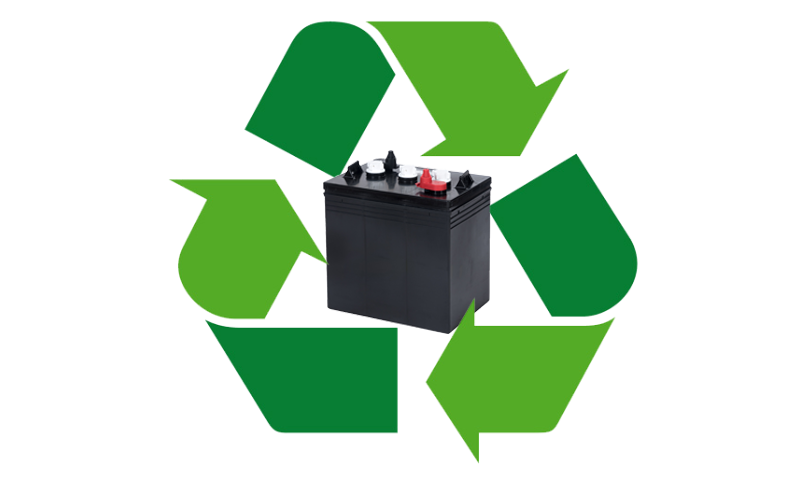 If you live in an area that is not convenient to drop off your old batteries directly to us but still want to recycle your batteries we will assist in locating a nearby recycling facility for you to return them to. All Core Returns need to be for the same battery model purchased. No Refund will be applied until the core is received. Core Charge is included in the total amount of the shipping. Please contact our Customer Service for more information and further assistance.